Are his breeds prone to any diseases? Every dog has a tale. But the story of a mixed breed dog isn’t always easy to tell. 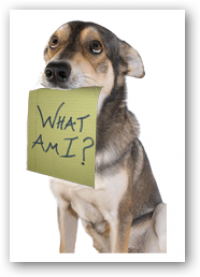 DogDNA testing can help clear the confusion, unlocking secrets hidden in your dog’s DNA. How does the genetic analysis work? • COMPARE your dog’s DNA to the genetic signatures of over 200 dog breeds, types and varieties. • PREDICT your dog’s adult weight range. • PROVIDE our doctor with valuable information so we can work together to create an effective care and wellness program. • PRE-SCREEN a dog’s breed-related risks for developing certain genetic health conditions. For further information, please contact our Virginia Beach Animal Hospital. Our veterinarian and friendly and knowledgeable staff are always happy to answer any questions.